Offered in both 5-Door and Convertible body styles, the Evoque embodies the true Range Rover spirit encompassed in a compact SUV. Featuring the same trail-conquering ability and refined power delivery as its larger siblings, the Range Rover Evoque is capable of towing up to 3,968 lbs — perfect for a small camper or boat. Enjoy complete command of infotainment thanks to a 10-inch touchscreen display along with InControl Wi-Fi™ to ensure you stay connected no matter how far you roam. Perfect for when your hands are full, an available Powered Gesture Tailgate gives you access to the cargo area with a simple swipe of your foot. You’ll find the perfect space to relax and unwind inside the Range Rover Evoque, offering available heated and ventilated front seats with massage functions. No matter where you’re headed, the Range Rover Evoque will get you there in style. New vehicle pricing includes all offers and incentives. Tax, Title and Tags not included in vehicle prices shown and must be paid by the purchaser. While great effort is made to ensure the accuracy of the information on this site, errors do occur so please verify information with a customer service rep. 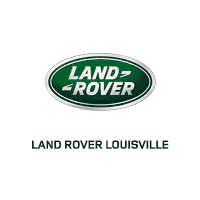 This is easily done by calling us at (502) 378-3653 or by visiting us at the dealership.